Many cell phones have a Ringtone Composer that lets you input a new ringtone only by typing a series of keys in order to get a melody. 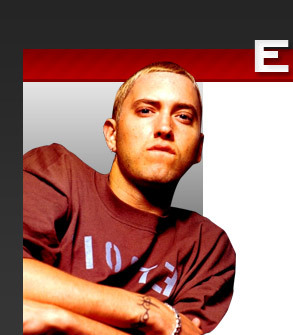 We have many eminem ringtones you can add to your phone with the composer and keypress. Make sure that your phone has a ringtone composer, also called "melody composer". Not all phones have a ringtone composer! Go to your phone's Ringtone Composer. It is usually found in "Settings" or "Tone Settings". For exact instructions for your phone, consult your owner's manual on the manufacturer's web site. Many users ask "how do I input the spaces?". Answer: the spaces are not meant to input in your ringtone composer, they are just there to visually separate notes for easier reading.